Methane (chemical formula CH4) is the main component of natural gas and is combustible. At room temperature and standard pressure methane is colourless and odorless despite the familiar smell of natural gas we encounter at home. This smell is down to an odorant which is added as a safety measure. Whilst methane is not toxic it is extremely flammable which can even form an explosive mixture when mixed with air. The Gas Sense CH4 Methane detector has a catalytic sensor calibrated to sense 5% volume of methane. 3 output relays are available which trigger at a pre-alarm, alarm level 1 and alarm level 2 and these values can be configured within certain limits (see Specification tab). In stand alone mode, the detector has 3 relay outputs, and a monitored 24V output (Intended for alarm sirens). The 3 relay outputs correspond to the 3 alarm levels of PREALARM, ALARM 1 and ALARM 2. Each of these threshold levels has a default setting, and can be altered by +/- 5% or +/- 10%. 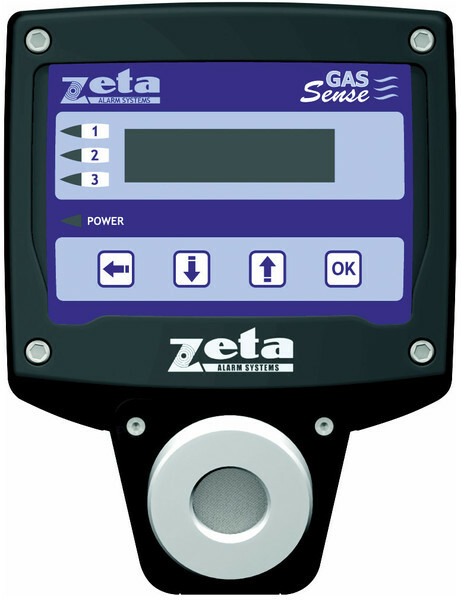 The detector will display the gas type, the current status (normal, fault or alarm), along with the current sensor reading on its 2 x 16 character LCD display. 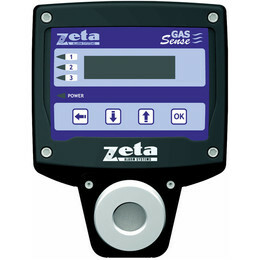 As the gas concentration level rises, the detector will light its relevant alarm LEDs and operate its relays. They operate concurrently, so that in the highest alarm level, all lower alarm LEDs & relays will remain ON. In System mode, the detector will display SYS to indicate that it is now part of a system. It will function similar to when it is in Stand alone mode, except the alarm relays will be under the control of the fire panel. This feature allows the control panel to monitor the system as a whole before deciding whether or not to operate an output. The detectors can also be locally recalibrated, with menu options to set the zero level, and options to set the calibration span, with the use of a calibration gas cylinder filled with the full scale gas concentration level. At the end of the recommended working life of the sensor, a replacement sensor should be fitted. The part numbers for each sensor are shown on the specification table. Methane is typically lighter than air (this may not always be the case due to environmental factors) so the detector should be installed 30cm to 50cm from the ceiling. Typical coverage is 50m² however this is subject on the airflow conditions in the area to be protected. If the gas detector is being installed to monitor a specific risk, then the detector should be located approximately 1.5m away from that point (this is because if the gas escapes under pressure, it may be forced past the sensor, rather than into it, if the detector is too close). Like all gas detectors, the best place to install a Gas Sense detector will depend on the target gas.